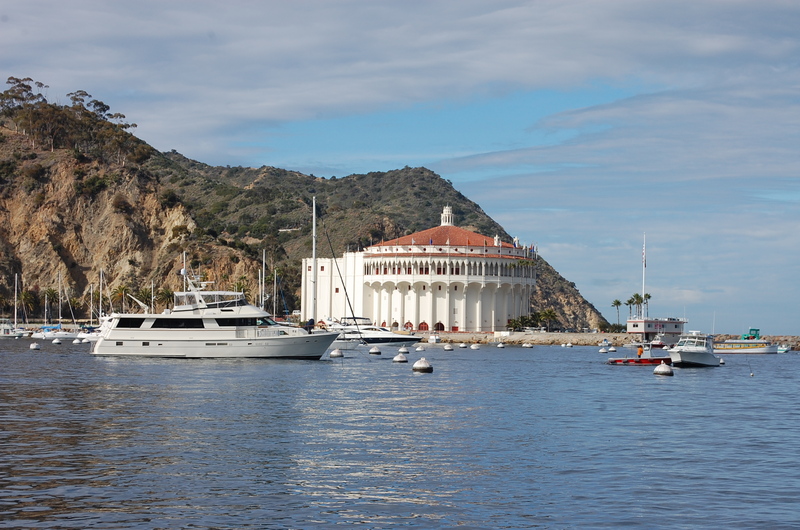 We are so perplexed as to why hardly any cruise ships stop for the day, in the city of Avalon, on Catalina Island. It’s an ideal alternative port for ships cruising down to the Mexican Riviera. The port of Avalon offers a Mediterranean feeling, in a safe environment, with plenty of picturesque sights and fun activities. Doug Lord of Catalina Tours takes guests on a whale-watching excursion to see some of the 28,000 gray whales that migrate up North after giving birth to calves down in Baja. Lord has been able to get groups of enthusiasts up close to observe baby whale’s nursing. Calves acquire a critical layer of fat from their mother’s milk, so they can survive the 7,000-mile journey to the Bering and Chukchi Seas. Another interesting tour to discover wildlife is the Inside Island Adventure Tour. The two-hour trip takes visitors on a private drive along the island’s mountain range. Guests enjoy spectacular canyon and scenic coastline views. Tour guides are happy to stop so visitors can take pictures of the mule deer and buffalo that continue to roam the island. The buffalos are descendants of the wild bisons, turned loose on the island back in 1924, after starring in the silent picture film, “The Vanishing American.” There are 135 furry brown mammals roaming the island’s interior now. The Santa Catalina Island Conservancy, a non-profit organization maintains the healthy herd. The last stop on the tour, before going back down to Avalon, is at the Airport-in-the-Sky. Built in 1946, it is one of the most challenging airports for pilots due to its 3,250-foot runway. Inside the airport is the Runway Café. Be sure to buy a few of their famous peanut butter, oatmeal and chocolate-chip cookies for the ride back. They are scrumptious. 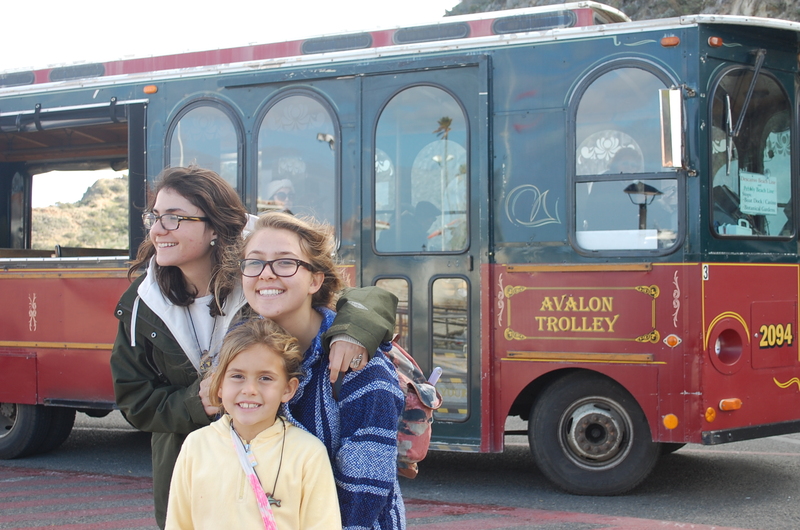 For passengers who would like to have a tour of Avalon and learn a little about the history, they can hop on the Avalon Trolley. The $4 roundtrip ticket includes a ride along the waterfront with multiple stops. One stop is the Catalina Island Conservancy Nature Center, Wrigley Memorial and Botanical Gardens. It’s a tribute to William Wrigley Jr., who purchased the island in 1919. Mr. Wrigley was interred at the Memorial upon his death in 1932. His wife, Ada supervised the design and planting of the exotic cactus garden filled with desert and native plants. Many are only found on Catalina Island. 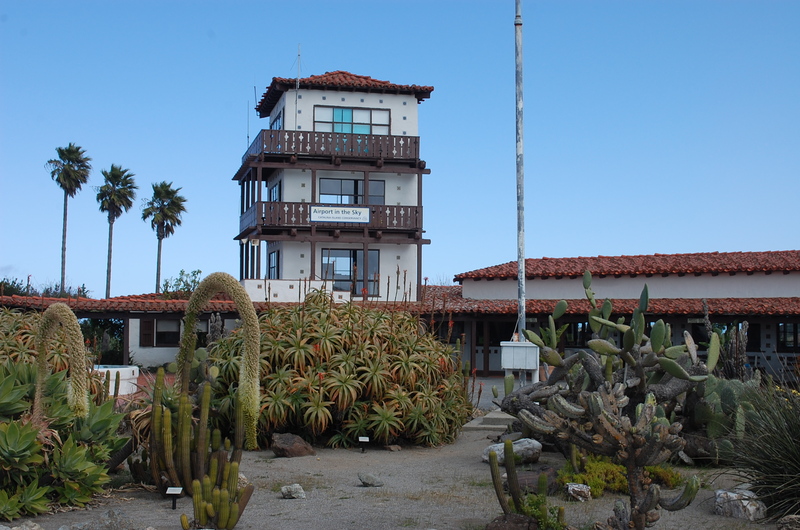 There is a Catalina Island Conservancy Nature Center next to the gardens that appeals to all ages. The trolley travels downtown to Crescent Ave. with its unique shops, restaurants and nearby Green pleasure pier. Cruise passengers who would like to learn more about the inhabitants under-the-sea, can take a glass-bottom boat or semi-submersible adventure tour from the pier. Learn about the brightly orange-colored Garibaldi fish and kelp forest filled with interesting sea creatures. Passengers enjoy feeding the ocean inhabitants in specially designed food drop tubes or push the torpedo buttons that shoot out food. A half-a-block from the pier is Catalina’s Golf Gardens. It’s a no-nonsense eighteen-holes miniature golf course situated in a beautiful garden setting. Pick up the trolley from here to take a ride out to the Catalina Casino and Descanso Beach activity center. Thrill seekers will want to get off at the Descanso Beach activity center to experience the adrenaline pumpin g zip-line ride that reaches speeds as high as 45 miles while zipping to five different platforms. The Descanso Beach Club offers an open-air restaurant and bar, private cabanas and chaise lounge chairs. 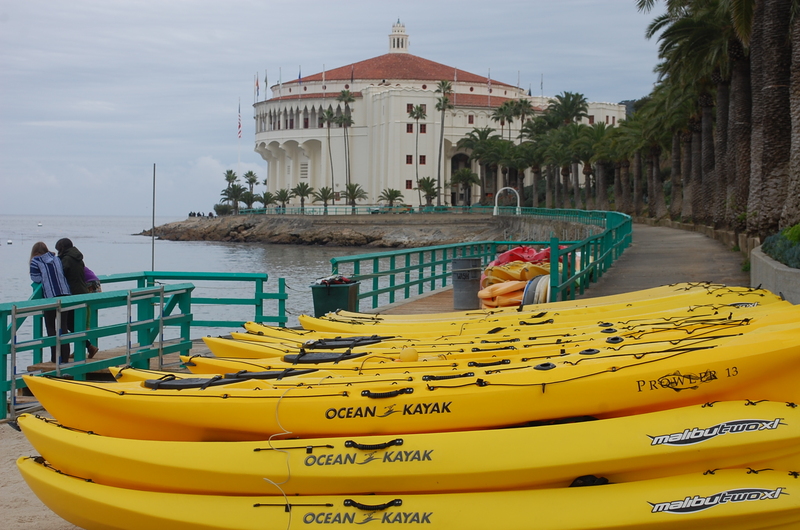 Single and double kayaks are available to rent for one hour, half-day and full day. It’s also a great place to swim or snorkel in the clear and refreshing water. While relaxing on the beach, to the right, is the landmark Catalina Casino built in 1929. This is not a gambling spot; but a dance pavilion, museum and movie theatre that runs first-run movies for the residents and visitors. Currently, the Catalina Island Museum is exhibiting Celebrity Playground with photos and stories of Catalina Island’s glory days as Hollywood’s favorite island destination. Charlie Chaplin, Natalie Wood, Robert Wagner, Humphrey Bogart and John Wayne were some of the movie stars that sailed their boats to Avalon harbor. When hungry, the Cottage Restaurant is open for breakfast, lunch and dinner. It’s one of the closest restaurants to the Cruise terminal. The food is good, and the owner Muriel Willhite has lived on the island for years. She is happy to share interesting stories about Avalon. 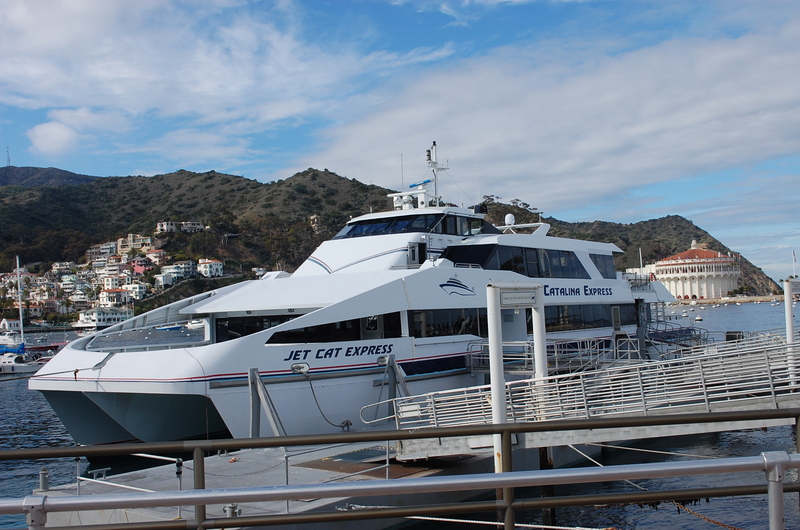 For those who would like to visit Avalon for the day without boarding a cruise ship, The Catalina Express boat leaves from Long Beach to Avalon on roundtrip cruises seven-days a week. Check their cruise schedule at www.catalinaexpress.com. Sure, I am a bit of an expert on Avalon. I lived there every summer for over 20 years. Plus I go there at least twice a year. Please let me know Jane what you would like from me.